Elsa Sass is, in many ways, the perfect white double peony. 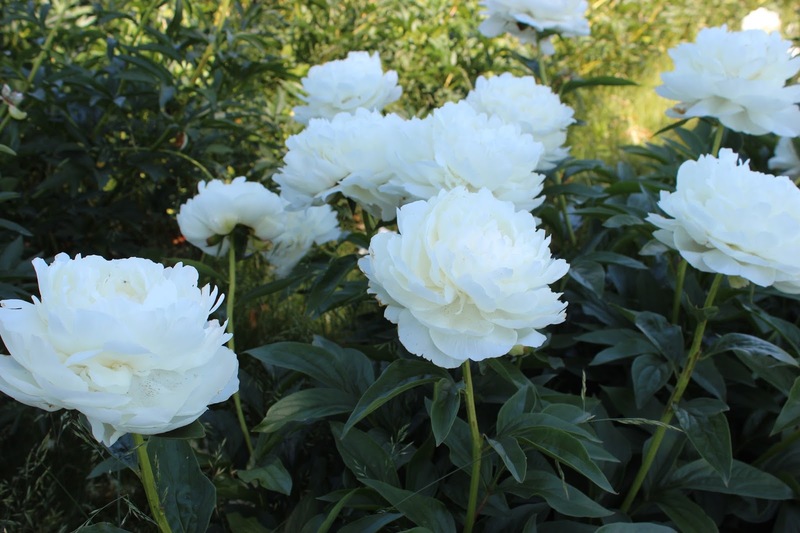 Its snowy, rose-form blooms come on late in the season, when many other peonies have begun to fade, and stand erect on sturdy stems that top out at about 30 inches in height. The dark green foliage is impeccable. We never see any leaf spotting on this cultivar, and it appears to be highly resistant to botrytis or other bacterial or viral diseases that sometimes affect peonies. This is one of the mainstay varieties of the cut flower portion of our peony farm. We remove the sidebuds from the stems when the buds are about pea size, leaving just the central bud to grow into a bloom often 8 inches or more across. The symmetrically placed petals of each flower are thicker than many other peonies and hold up extremely well in flower arrangements, where their light, sweet scent is equally welcoming. Although this variety has received the Gold Medal of the American Peony Society and has been around since 1930 thanks to the effort of breeder Hans P. Sass, it's one that hasn't garnered the recognition it deserves. There simply isn't a better white peony for a bridal bouquet or to lend an air of elegance to a garden border than peony Elsa Sass.